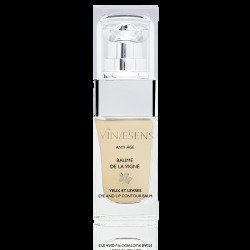 The Elixir de la Vigne is the bonding of love between the excellence of French research in cosmetology and the thousand-year-old benefits of Mediterranean nature, for globally taking charge of the beauty of your skin. This precious solution combines an astonishing and unique alliance of natural resveratrol, of polyphenols from grape seeds and split hyaluronic acid. We have used these three active agents, among the most renowned for their powerful anti-ageing action in order to favor the natural mechanisms of moisturizing and cell renewal and for in-depth action on the rejuvenation of your face. Apply the Elixir morning and evening on clean, dry skin. 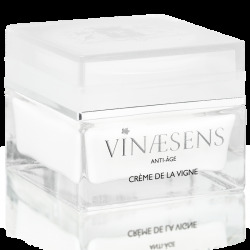 Apply with fingertips before our Crème de la Vigne. 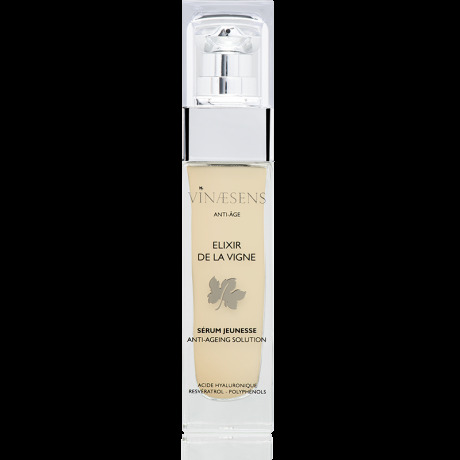 Then nourish your skin with the Elixir de la Vigne by applying a few drops to your face and neck. To stimulate microcirculation and provide firmness to your face, apply light sliding pressure motions of the fingertips from the interior of the face outward - first of all, from the chin to the ear lobes, from the nose to the temples, and then from the middle of the forehead to the sides of the face. This sumptuous Elixir will thus enhance the effects of the Crème de la Vigne and act on signs of ageing.